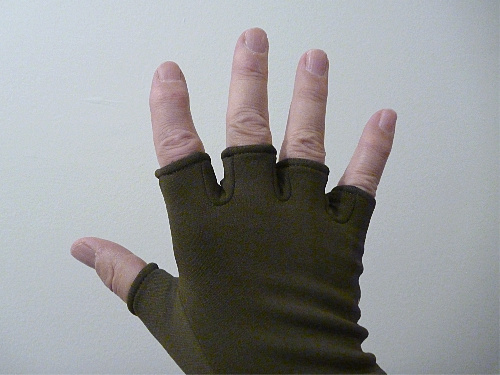 The gloves are spandex (58% nylon, 37% polyester and 5% polyurethane) and are one-size-fits-all. They were designed for Japanese anglers, so for Americans it might be one size fits most. They are quite stretchy, though, so you'd have to have pretty big hands for them to be too small. 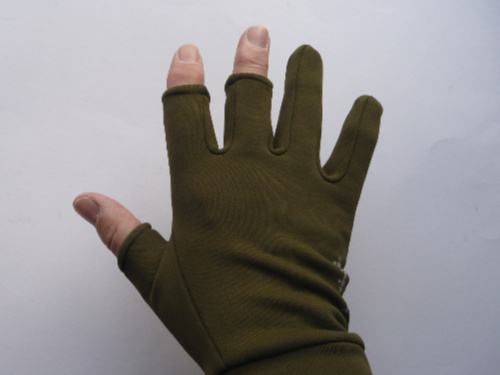 I have had fishing gloves that were pretty warm in the winter, but would make no sense in the summer, and gloves that offered good summer sun protection but would have been useless in winter. These gloves are in between. They are thick enough to provide warmth, but no so think that they would be too hot for use in the summer. On a hot summer day, you could always just put your hands in the stream and get evaporative cooling for quite some time. 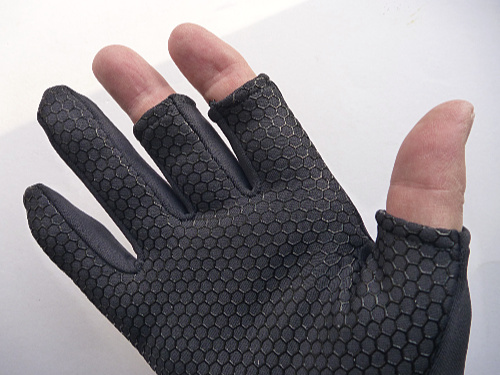 The nonskid palm would give you a good grip wet or dry. Little Presents is the company that makes the Wader Gaiters, which are well made and well liked. I'm sure these will be, too. 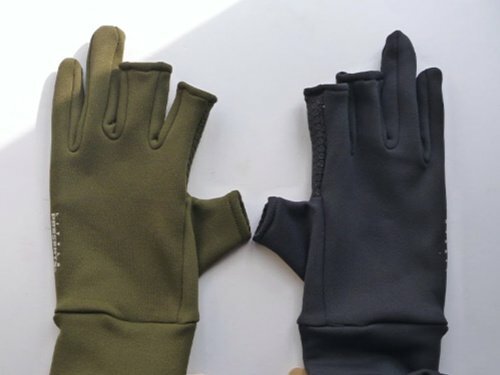 Little Presents also makes "fingerless" gloves, which are very similar to their fishing gloves (which they call "three fingerless" gloves). 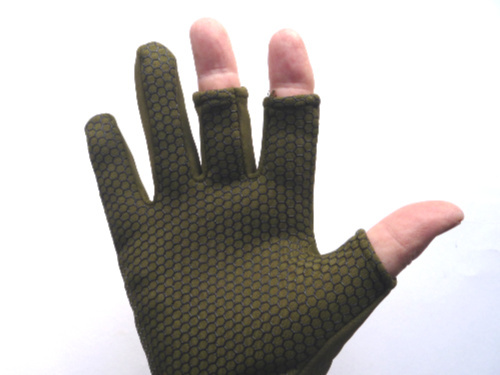 Same colors, same stretchy one-size-fits-all, same non-skid palm. There are two significant differences, though. First, there aren't the full-length fingers for the ring finger and the little finger. Second, the partial fingers are much shorter, extending no further than the first knuckle. If you want gloves mostly for sun protection, these would be an excellent choice. Currently processing orders that were received Apr 20.